History Detectives: Sleuthing for Local History! All events are free and open to the public. Space is limited and seating is offered first come, first served. There will be an overflow room available with simulcast video presentation. A boxed lunch is available for purchase. Email rsvp@grpl.org to purchase a lunch. Take a look at the 2019 History Detective brochure, too! Comments Off on History Detectives: Sleuthing for Local History! Before you go, you may want to read more about the Native American communities in West Michigan. If you can’t attend this one, the Grand Valley American Indian Lodge Pow Wow is scheduled for Sept. 8-9. Chris LaPorte, past ArtPrize winner, designed the 2018 poster. 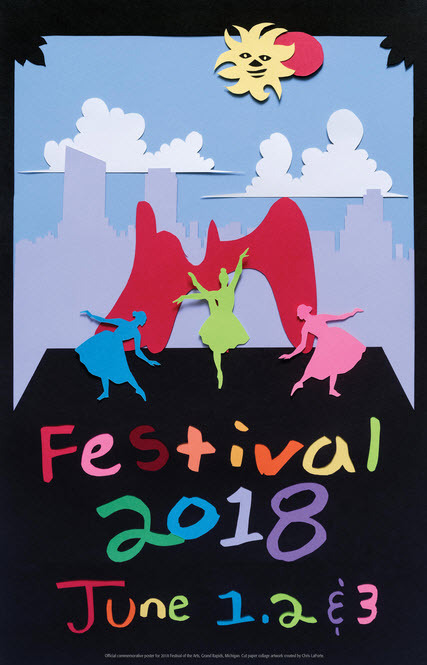 Festival of the Arts is a FREE three-day community event that features several stages of performances, a juried Regional Arts Exhibition, and dozens of food booths run by non-profit organizations. Plus, creative activities for children and adults to enjoy making their own art as well as purchasing art from West Michigan artists. Every purchase at Festival from food to art to t-shirts and posters gives back to the West Michigan community. You’re sure to see your classmates, professors, and their families! Friday Noon – 10 p.m.
Did you know that you can visit many local cultural and leisure venues for free? go see gr! is available to all current GRCC students and employees. Use your RaiderCard to experience Grand Rapids Museums and John Ball Zoo at no cost. The cost of student admission is sponsored by the Campus Activity Fee. Staff Development is proud to sponsor and fund the cost go see gr! for employees. 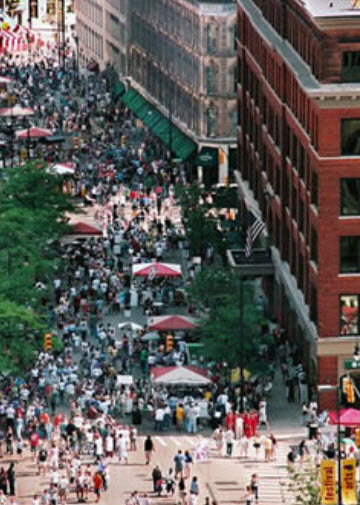 For more on Grand Rapids, see the Grand Rapids Subject Guide. 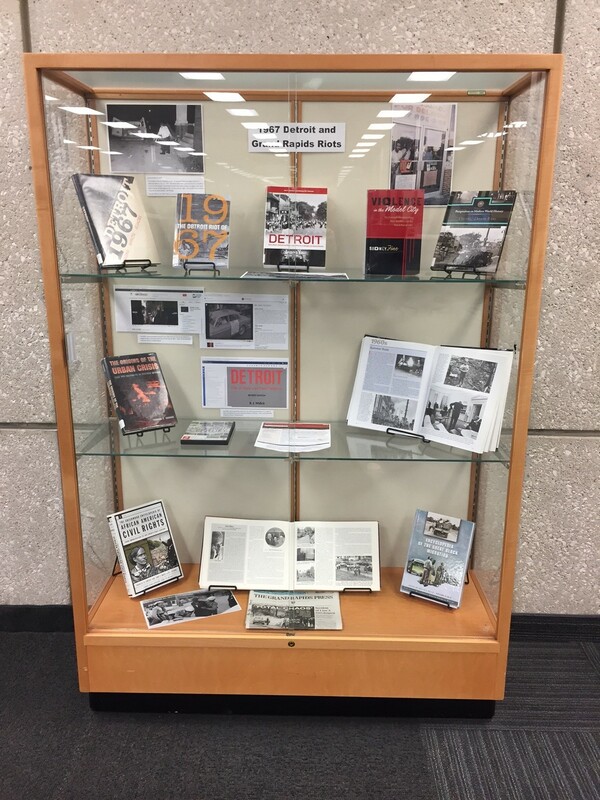 Librarian Mike Klawitter recently curated a book display about the 1967 Race Riots in Detroit and Grand Rapids. The 50th anniversary of these events causes Michiganders to ask ourselves what has or hasn’t changed, and why?